Whowoo it is summertime and one of my favorite songs is playing over and over in my head. What makes summertime just a little sweeter our newest creation of handmade soap. 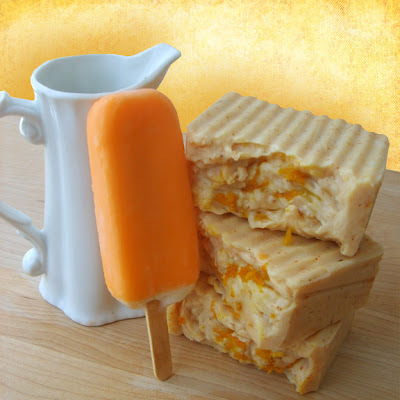 Orange Creamtickle Soap smells just like a yummy Creamsicle bar. 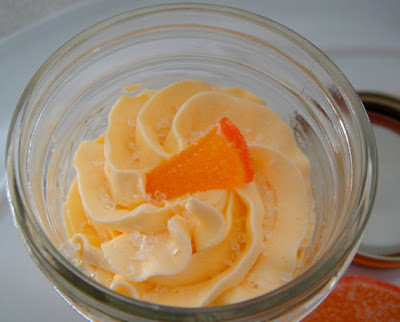 It is sugar free, refreshing, sure to cool you down when water is added, out of the freezer safe, and is extra creamy with Mango and Shea Butter added for extra moisture to your skin. 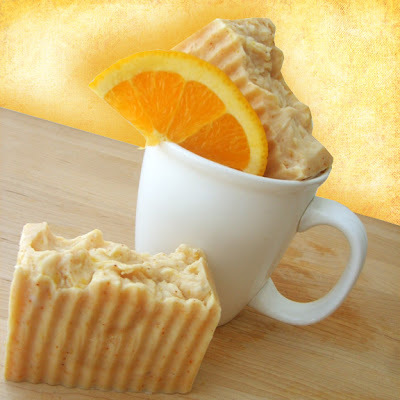 Orange Creamtickle Soap is better for you, it’s loaded with tons of nourishing natural oils and organic ingredients unlike that commercial soap with added phosphates and harsh chemicals which are bad for the environment and bad for your skin. It will be impossible to use this Orange Creamtickle Soap without smiling. This new Orange Creamtickle Soap smells so yummy with a blend of orange and vanilla. 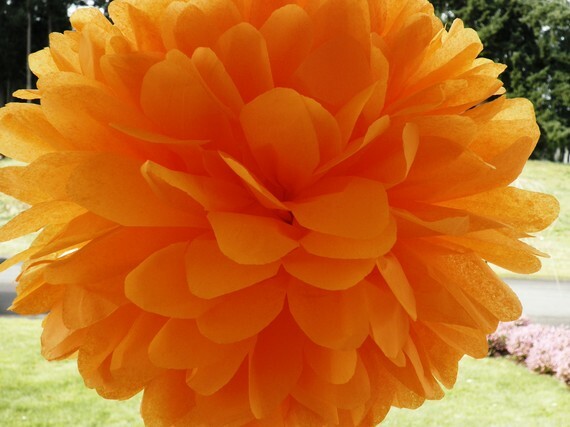 This happy tangerine Pom Pom is designed and created by Sevyn Designs. Sevyn Designs Ink is the creative collaboration of two long time friends, Coral Pentecost & Hailee Van Wagner. They create fun, whimsical and unique decor for any party that are sure to leave your guests talking. Who's the best party hostess?...YOU ARE!!! To check out their online store on Etsy at this link: Sevy Designs. Indulge in a tasty summer time treat with an irresistible, cute Cake in a jar! 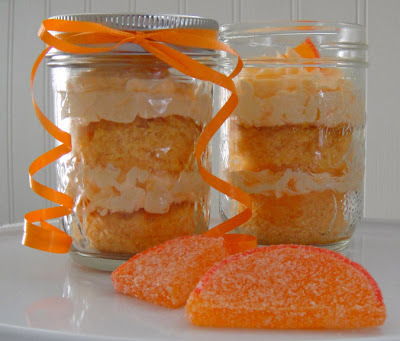 Old Time Favorites Bakery delicious Cakes in a jar are a fantastic twist on the traditional Cake. Check out Kristy super yummy store online on Etsy at this link: Old Time Favorites Bakery. Kristy has cupcakes, pies. cookies, brownies and much more all made from scratch. This month I'm giving away a “Home Spa Gift Box” which includes a bar of handmade aromatherapy soap, Shea Butter lotion and a crocheted washcloth. Simply leave a comment during the month of June to enter to WIN. Only eight days left before the drawing and the WINNER is selected on June 30th! Are you interested in WINNING? Leave me a comment. I have shared with some of my newest favorite things on Etsy and our newest homemade soap. Thanks for stopping by and reading my blog. Now back to that Summertime song by Kenny Chesney . . . I am thinking of doing something with the pom poms. I like the look. Thanks for profiling these wonderful ideas. I agree that the Pom Pom's are amazing and very affordable. They would create a great look at any function. It looks good enough to eat!!! I wish you lived next door so you could teach me this art, I want to learn so bad!! I think I'm entered in your lovely giveaway, if not, please add me! Thanks and yum yum!! Aw, I love those songs too! Very summertime :) I'd love to win the handmade soap goodies!!! That would be so awesome to have you as a neighbor we could work on quilts, garden and make soap together. I am sure that I would learn a lot from a talented lady such as yourself. I could use some instruction in quilting. You are entered in the giveaway. Only seven days left until the drawing! Thanks for visiting my blog and leaving a comment. I love Florida as well and yummy oranges. Hi Paula - thank you for your nice comment on my blog. I enjoy visiting Florida, but haven't been in a loooong time. Hi Paula, The soap must be wonderful. I just love the smell and taste of oranges. YUMMY! Thank you so very much for the awesome comments on my baked goods. Oranges always make me think of Florida..which is one of my favorite states to visit!